WASHINGTON (AP) — Remember Anonymous? One month ago Friday, an unidentified Trump administration official set off a White House firestorm by claiming in a New York Times opinion piece to be part of a secret “resistance” force out to undermine parts of President Donald Trump’s agenda. The article triggered cries of “treason” from Trump and a demand that the powers of the federal government be brought to bear to root out the disloyal officials. And then … not much happened. The investigation, which existed more in name than practice, stalled. A move to clean house never occurred. The author’s identity is still a mystery. Still, publication of the piece, along with a new Bob Woodward book painting a picture of a president whose impulses were being thwarted by his own staff, has had some lasting aftershocks. The president, already besieged by leaks, has closed ranks around the Oval Office, growing far more suspicious of staff and trusting fewer West Wing personnel. That’s according to four White House officials and Republicans close to the White House who were not authorized to speak publicly about private conversations. The piece landed the same week as Woodward’s “Fear” and emphasized the new book’s themes: that Trump appeared unfit for office and some of his closest aides viewed themselves as a bulwark between his worst decisions and the American public. The Beltway guessing game seeped into the White House, as current and former staffers traded calls and texts trying to figure out who could have written the piece, some even asking reporters for clues. Trump ordered aides to unmask the writer, cited “national security” concerns to justify a possible Justice Department investigation and issued an extraordinary demand that the newspaper reveal the author. Trump’s anger triggered an extraordinary parade of senior officials, Cabinet members and even the vice president, who issued statements and stood before cameras to deny that they were part of the resistance. Some Trump advisers, like attorney Rudy Giuliani, suggested that it would be “appropriate” for Trump to ask for a formal investigation into the identity of the op-ed author. And Kentucky Sen. Rand Paul, a key ally of Trump’s, called for the president to order those suspected of being the author to undergo lie-detector tests. But then, mirroring the very thesis of the op-ed, Trump’s requests to the government largely went ignored. It was never expected that the Justice Department would move to open an investigation. A White House official later said Trump’s call for the investigation was an expression of his frustration with the op-ed, rather than an order for federal prosecutors. White House chief of staff John Kelly, communications director Bill Shine and press secretary Sarah Huckabee Sanders convened a series of closed-door meetings and ordered a cursory leak search, including enforcing a pre-existing ban on personal phones, according to three White House officials not authorized to speak publicly about internal meetings. But as the op-ed was wiped from the headlines by other news events, most notably the contentious confirmation hearings for Supreme Court nominee Brett Kavanaugh, the probe was quietly pushed aside. Though the president continued to vent about the leaks, aides never conducted an exhaustive search, according to two of the officials. And many administration officials recognized that there was a long list of officials who plausibly could have been the author. 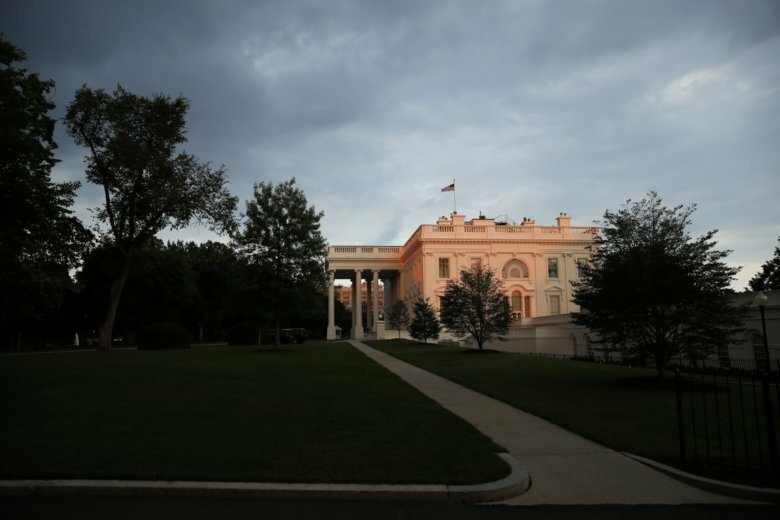 The West Wing and, for the most part, Trump himself moved on, focusing on the upcoming midterm elections and the push to get Kavanaugh on the bench. But Trump has confided to allies that he still is frustrated by frequent leaks and feels that there are few aides around him whom he can fully trust, according to the three White House officials and Republicans close to the White House. Beyond a network of outside advisers Trump has known for decades, the officials said, those on the inside the president continues to trust include family: daughter Ivanka Trump and her husband, Jared Kushner, both senior advisers.